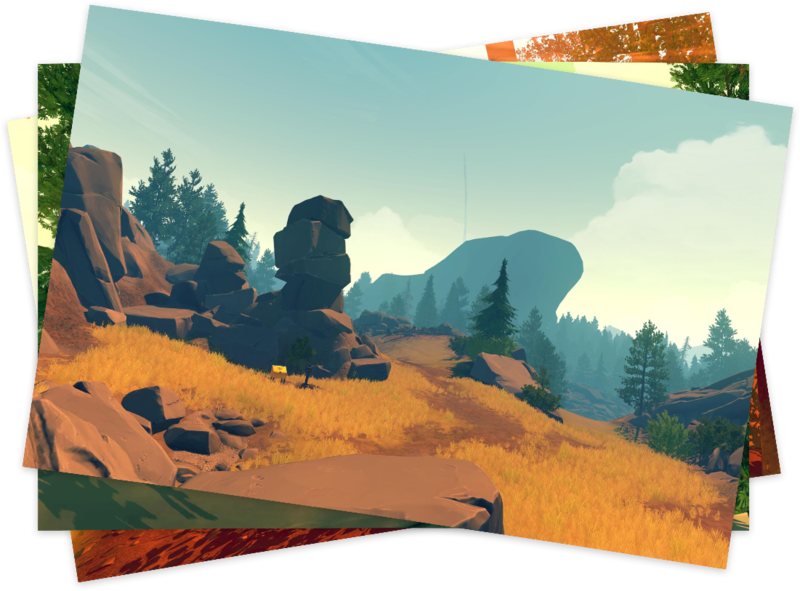 Firewatch is a mystery game set in the Wyoming wilderness. Did you visit the Fotodome Booth at an event? Check out your photos here! Take photos, finish the game, and we’ll see you back here. © Campo Santo, in cooperation with Panic. FIREWATCH is a trademark of Campo Santo.